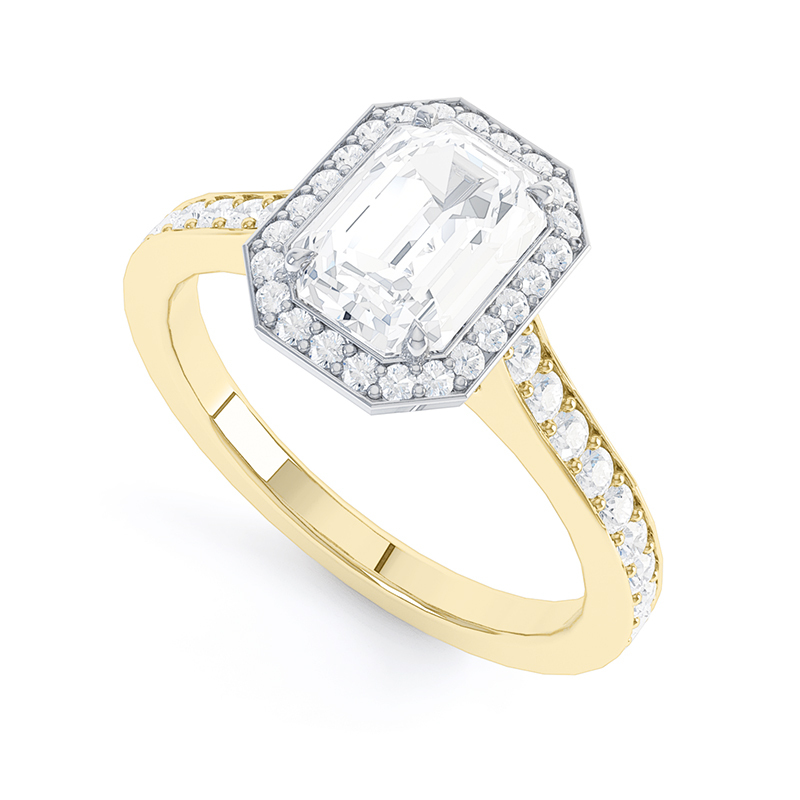 Pairing enduring style with elegant lines for a truly timeless design. 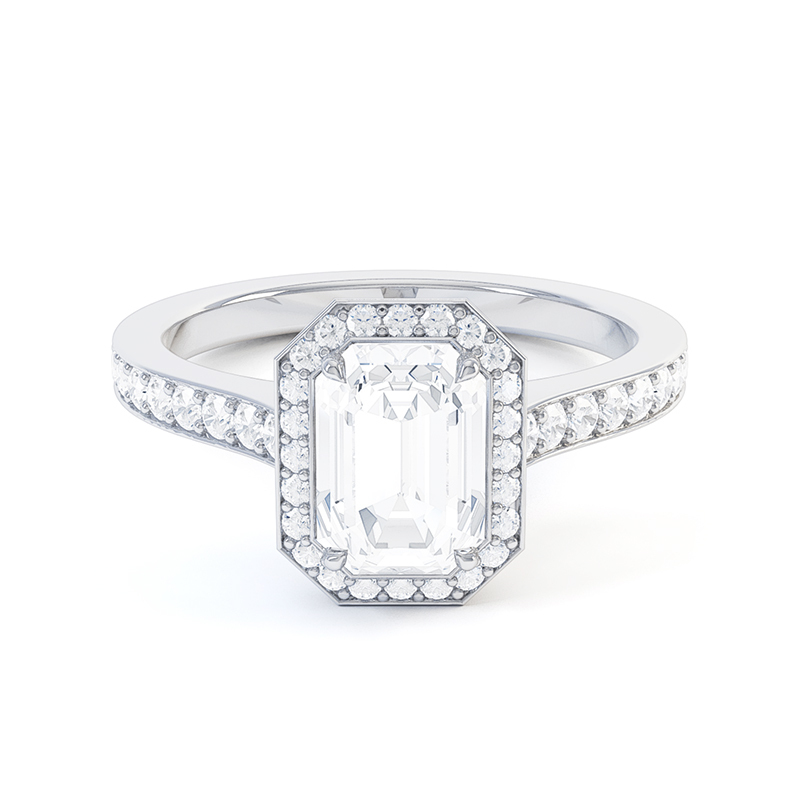 The striking beauty of an Emerald Cut diamond is enhanced with a diamond set halo and band, for an eye catching piece. Each diamond is perfectly calibrated for size, colour, clarity and cut to ensure maximum life, fire and brilliance. 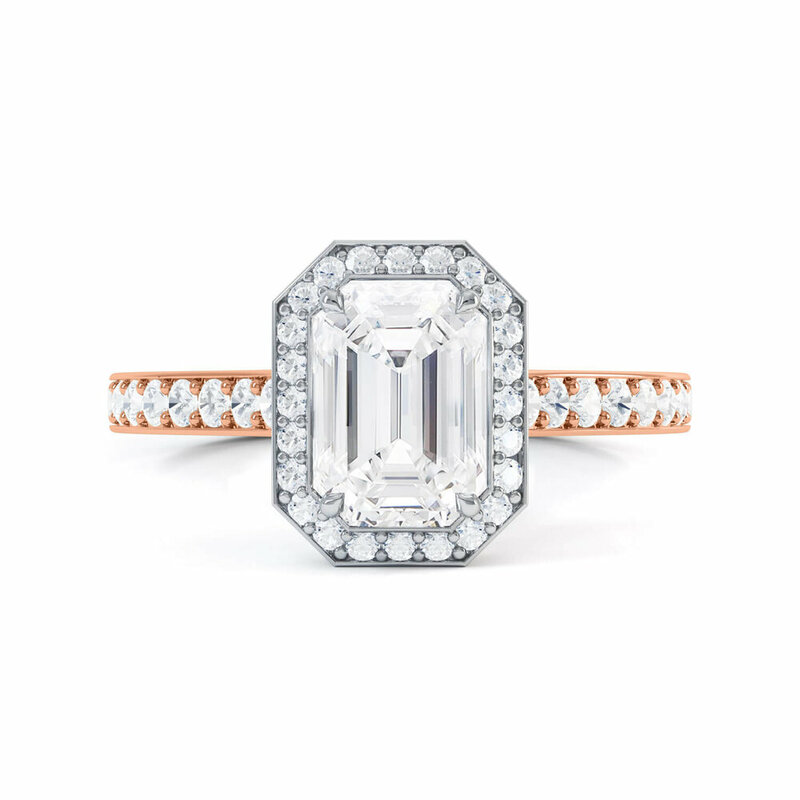 With centre diamonds available from 0.30ct, the Novak engagement ring is available in Platinum, 18ct Yellow Gold, 18ct Rose Gold & 18ct White Gold. All Queensmith engagement rings are expertly handcrafted onsite, using only the finest GIA certified diamonds. Every ring is made-to-order in our Hatton Garden workshop and can be tailored to your preference.